Socks are the most underappreciated product in the tennis industry. Socks come in many different styles, colors, and materials but get overlooked due to price. Most of the time people want something that fits their feet, matches their shoes, and is cheap. However, we never think about the performance or technology necessary to make a great pair of socks. Why should consumers care about socks? Socks are the underlying accessory for our feet. 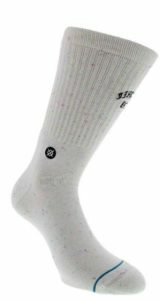 If you don’t buy high-quality socks, your feet will not feel as comfortable, your socks will wear out faster, and you will have to buy more later on. One sock company, STANCE, is trying to turn the tide and wants customers to start thinking about socks as truly important pieces of gear. STANCE is a unique company that started less than five years ago with the goal of bringing a little more excitement and interest to socks. The founders saw a market that had been ignored and dismissed for many years. Stance believes socks should ignite art and self-expression while also serving a purpose. This company has set a high standard for quality that will truly knock your socks off. Innovation and originality are what drives Stance to success. 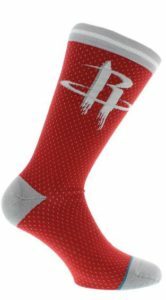 Their socks utilize Feel 360 Technology to create a high-quality accessory that you will never want to take off. This technology was created to elevate their socks giving customers the chance to wear socks more often for longer periods of time and feel the same as the first use. This Feel 360 technology includes three aspects: Fresh, Dry and Durable. Fresh – is an antimicrobial silver ion treatment that eliminates 99.95% of odor-causing bacteria. This aspect allows you not to worry about odor even when your feet sweat a lot. This also protects the socks from smelling after a cycle in the wash and gives a sense of freshness every time you put the socks on. Dry – comes from a wicking agent that activates when your body temperature reaches a certain point. This aspect enables moisture to travel away from your skin keeping your feet and ankles dry. Stance has tested this and proven it to be 20% faster than other market leaders. Durable – comes from two parts. One comes from the materialization process. Stance uses a machine that implements a high twist-per-meter rate on the yarn to eliminate any friction that occurs in durability loss. The second part is a treatment that prevents static electricity and keeps the socks outer surface smoother for a longer duration. These two parts work together to create a sock that lasts longer and never stretches out over a period of time. If you haven’t started thinking about your socks, NOW IS THE TIME! Socks can make the difference in how you perform during your next tennis match. 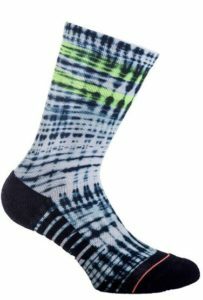 At Tennis Express, we have a great assortment of Stance socks that you can match with any tennis outfit or shoes. Head over to TennisExpress.com and purchase a pair to see the difference when you play. To learn more about STANCE check out their website!